Graham, doing my circuits class all on his own! He has been great actually, he has turned up every week and worked hard even when he has been all on his own! The good news is…I have on two occasions now had 3 people! AND on one of those occasions one of the people came along in response to my advertising rather than being press ganged into it by either me or Graham!! As I understand it this is how it starts! Slowly and by persevering and eventually people will get word and bring friends and all of that! Consequently I am actually pleased that it is starting slowly, it is stopping me from being terrified every Monday!! The other new thing I have been working on is the website to go with this endeavour! 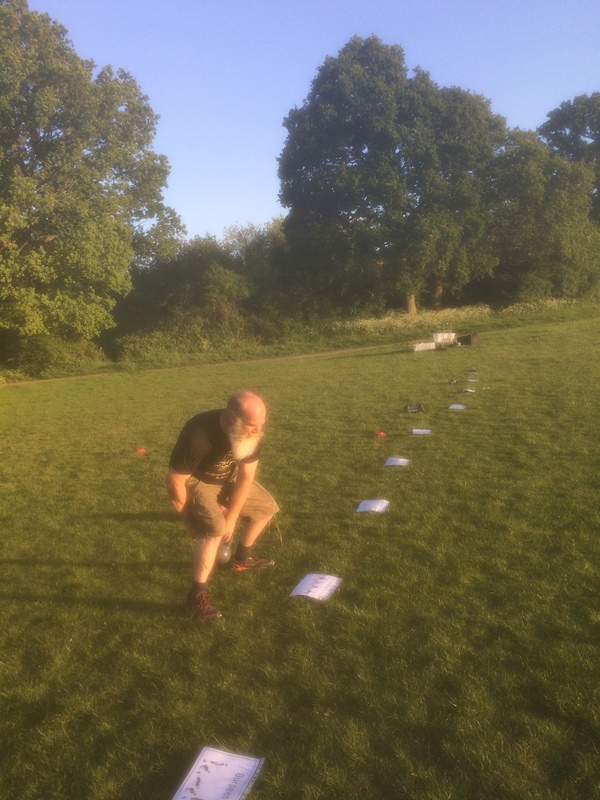 I have been busily writing it over the last couple of weeks and I have finally got it up and running, complete with sections for personal training, small group training and my group fitness class. Feel free to go and have a look at it and if you know anyone in sussex who wants training…then feel free to share it!! Real Fitness Sussex – Real Fitness for Real People! I will cross all things crossable: fingers, toes, eyes. See I can give sensible advice…like a grown up!